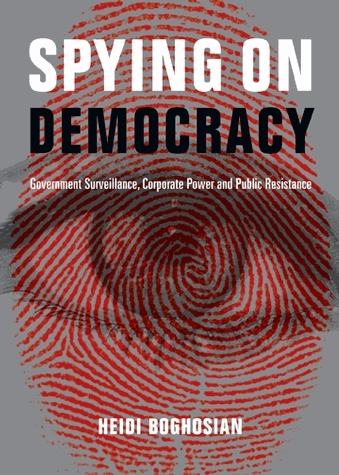 Although governments and corporations would like activists to remain in the dark about the extent to which they are being spied upon, recent books and reports on the subject suggest that there are cracks in the wall. Between 2004 and 2008, at the height of America’s war on terror, the NYPD spied on, infiltrated and tracked members of the pro-cycling advocacy groups Critical Mass and Time’s Up. Both groups are known for their playful and seemingly impromptu mass rides through busy parts of urban areas in order to promote alternative modes of transportation. The NYPD took an interest in the cyclists in the run up to the Republican National Convention in 2004. A few weeks before the convention, police officers arrested about 300 people participating in a mass ride and confiscated hundreds of bikes, declaring them “abandoned property.” They devoted significant resources — scooters, vans, unmarked cars and even helicopters — to disrupting these gatherings as well as attending group meetings and profiling activists. In addition to the surveillance and undercover operations, police harassed and in some cases assaulted cyclists who took part in unsanctioned mass rides. 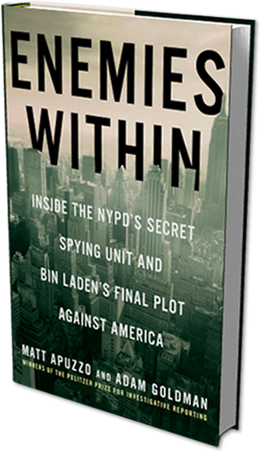 As investigative reporters Matt Apuzzo and Adam Goldman detail in their new book Enemies Within: Inside the NYPD’s Secret Spying Unit and Bin Laden’s Final Plot Against America, legal changes after 9/11 made it significantly easier for law enforcement to investigate constitutionally protected activities. Previously, in order to send undercover officers into a Muslim student group, mosque or political organization, the department needed to first obtain credible information that a crime was being committed. “Now police could launch an investigation, including one with undercover officers, whenever there was the possibility that a crime could be committed,” Apuzzo and Goldman write. Although the NYPD’s special intelligence unit primarily targeted the city’s Muslim community, the new legal backdrop also allowed them to go after groups like Critical Mass and Time’s Up. The NYPD’s investigation into cycling advocates is just one of many instances of police and corporations spying on activists over the last decade. While recent attention has focused on the overreach of the NSA — whose mission is primarily concerned with foreign intelligence gathering — domestic spying on the part of the FBI, Department of Homeland Security, corporations and private security firms continues with little oversight or public knowledge. As with the NSA programs, it’s very difficult to measure the impact of an ever-widening surveillance state on political activists, organizers and protest. It is tempting to see the outing of covert operations like the one described above — or for that matter any of those described in the books discussed in this article — as a victory for activists. But news of this sort often comes years after the fact through protracted legal battles on the part of the affected groups, work done by investigative journalists or simply by accident. Law enforcement agencies, especially those tasked with highly sensitive operations, often suffer few if any repercussions. Investigations often drag on for years and — because they involve classified material — decisions are usually made behind closed doors, where very little information is made public. In 2011, Time famously named the “protester” as person of the year. In many ways, it made sense. It was the year of the Arab Spring, Occupy Wall Street and massive climate change protests. 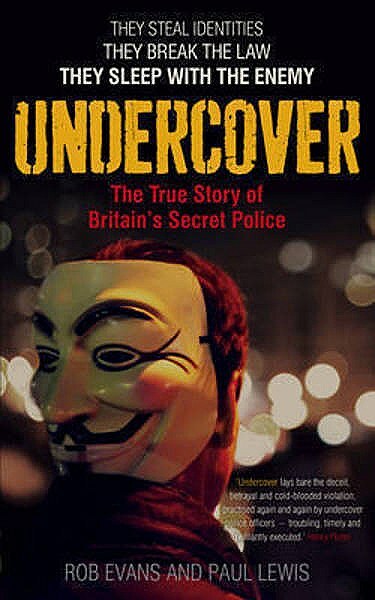 It also happened to be the same year that The Guardian reporters Rob Evans and Paul Lewis revealed a decades-long domestic spying squad within the British police force, which they examine in their new book Undercover: The True Story of Britain’s Secret Police. Initially formed in the 1960s to target antiwar protesters, the Special Demonstration Squad had morphed in the post-9/11 era into a division with near limitless resources whose mandate was to combat “domestic extremism.” Over the last decade the unit’s budget doubled, consuming close to $50 million in taxpayer money. Its targets included animal rights activists, environmental organizations, antiwar campaigners and a broad spectrum of social justice advocates. When Mark Kennedy — a police spy who worked for another agency, the National Public Order Intelligence Unit — was outed after his longtime girlfriend and fellow activist learned of his real identity, the secret history of the agency slowly unraveled. One of the most striking and troubling aspects of the clandestine unit was its emphasis on establishing long-term relationships with activists. Kennedy, for example, was an active member of the British environmental movement for seven years. He helped organize protests, held meetings at his apartment, and always had cash on hand or a van to transport materials — hence his nickname, “Flash.” He also had at least two intimate relationships with fellow activists, one of which lasted six years. Indeed, this seems to have been standard operating procedure. Of the nine police spies identified by The Guardian since 2011, eight are suspected of having had intimate relationships with the very people they were spying on. Last year a group of women and one man announced that they were suing the Metropolitan Police for damages after suffering emotional trauma as a result of those relationships. If betrayal of trust can leave deep personal wounds it can also undermine the bonds that hold activist groups together. Another case described by Evans and Lewis took place in the 1980s, when a small group of environmental activists initiated a campaign against McDonald’s. Known as London Greenpeace — though not affiliated with the national organization — the small group of activists produced a six-page leaflet, What’s wrong with McDonalds? Everything they don’t want you to know, detailing the company’s record on a wide range of issues, from the environment to animal rights. McDonald’s sued the campaigners, asking them to retract their claims and apologize or go to court — a tactic it had successfully employed on other occasions to silence its critics. Two of the activists, Dave Morris and Helen Steel, accepted the challenge and spent more than two years representing themselves in what was one of the longest civil trials in British history. Although McDonald’s largely prevailed on legal grounds, it lost soundly in the court of public opinion. Lambert left the group before the trial got underway but another police spy, John Dines, was there to pick up the baton. Dines, who served as treasurer of London Greenpeace for several years and had a relationship with Helen Steel, was privy to the group’s legal strategy and attended most of the meetings with the group’s lawyer. Did he or his handlers pass valuable information on to McDonald’s? It’s unclear but Evans and Lewis speculate that there’s good reason to believe he did. Special Demonstration Squad and McDonald’s were found to have exchanged information on several occasions and settled for $10,000 in an out-of-court settlement with Morris and Steel for unlawfully passing on intelligence to McDonald’s. Even though McDonald’s was receiving intelligence from Special Demonstration Squad, it evidently wasn’t sufficient. Around the same time that Dines was active in London Greenpeace, the fast food giant hired two private security firms to gather intelligence on the group. At one point there were more spies in the group than there were activists. Spies were literally spying on spies. And they effectively kept the McDonald’s campaign atop the group’s agenda. “Remarkably, agents working for McDonald’s were effectively helping to hold its arch enemy London Greenpeace together,” Evans and Lewis observe. The McLibel case is often presented as a David versus Goliath story with Steel and Morris standing up to one of the world’s largest corporations. And it’s true that McDonald’s fared poorly during the trial. But the story doesn’t end there. Many of the spies who infiltrated London Greenpeace, most notably Lambert, went on to penetrate the radical animal rights movement. In fact as Lubbers and others have speculated, it is plausible that London Greenpeace simply served as an entrée to the less accessible world of animal rights activists. It was an easy way for undercover operatives to establish credibility and then move onto other targets. This would help to explain why so many police and corporate spies infiltrated a single rather harmless group. For Steel, it would take the better part of a decade before she learned of John Dines’s real identity. They had lived together for two years, but in 1991 — as part of an exit strategy — Dines began suggesting that his life was falling apart. In 1992, he said he was going to South Africa and simply vanished. Steel tried to find out more about his family, but turned up no clues until she decided on a whim to consult the national death records. She discovered that the real John Barker, whose name Dines had adopted, was dead. He died of leukemia at the age of eight. This was the preferred method of choosing an alias for members of the Special Demonstration Squad. It took several more years for Steel to piece together the whole story — to learn that the man she had loved and who had shared her life as an activist was actually a police officer with a wife named Debbie. The revelation had a profound impact on her life. “It was like a bereavement but it was not something I could talk to people about,” she told Evans and Lewis. “Now suddenly he didn’t exist. This was a man I had known for five years, who I had lived with for two years. How could I trust anybody again?” Around the same time London Greenpeace formally dissolved. Steel and other activists always knew that they might be targets of government surveillance, but they were surprised to learn that corporate spies were also being deployed. As Steel recounted in a 2006 interview, “We only thought about the risk of being infiltrated by the police intelligence services. 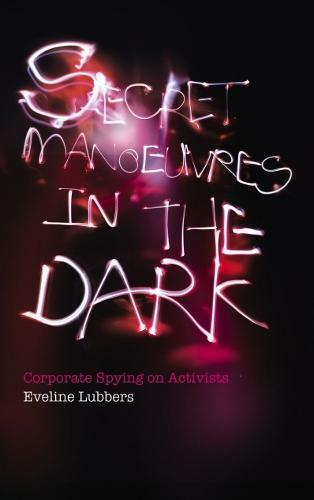 We never considered that they might be working for a company rather than the state.” Indeed as Lubbers’ book shows, corporate espionage is far more common than activists may realize. According to a new report published by Essential Information, called Spooky Business: Corporate Espionage Against Nonprofit Organizations, “Many of the world’s largest corporations and their trade associations — including the U.S. Chamber of Commerce, Walmart, Monsanto, Bank of America, Dow Chemical, Kraft, Coca-Cola, Chevron, Burger King, McDonald’s, Shell, BP, BAE, Sasol, Brown & Williamson and E.ON — have been linked to espionage or planned espionage against nonproft organizations, activists and whistleblowers.” This intelligence is often used to preempt public interest campaigns and therefore stifle public debate. There is a long history of big business collaborating with the FBI and other intelligence agencies. Yet, since 9/11 there has been an explicit emphasis on information sharing between the public and private sectors. The Domestic Security Alliance Council, for example, brings together representatives from the FBI, the Department of Homeland Security, and some of the nations most powerful corporations to advance “the ability of the U.S. private sector to protect its employees, assets and proprietary information.” As a recent report by the Center for Media and Democracy shows, the new partnerships between law enforcement and corporate America proved to be a powerful tool in disrupting and breaking up Occupy Wall Street encampments. Even as business and law enforcement have joined forces, corporate spending on intelligence and security has skyrocketed. Annual spending on corporate security and intelligence is now roughly $100 billion, double what it was a decade ago. 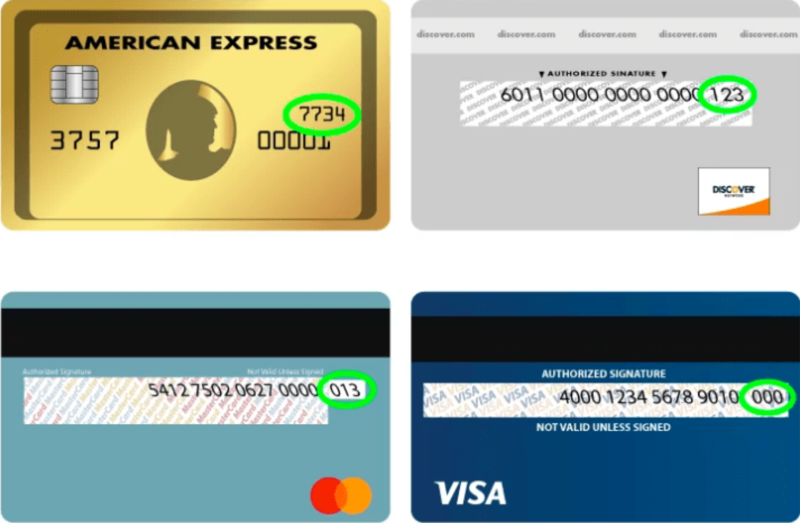 As the recently leaked Stratfor documents show, corporations routinely solicit intelligence from private security firms, which are not bound by the same legal standards as law enforcement agencies. Former police spy Mark Kennedy even approached Stratfor for advice on future employment prospects, as has American activist turned FBI informant Brandon Darby. 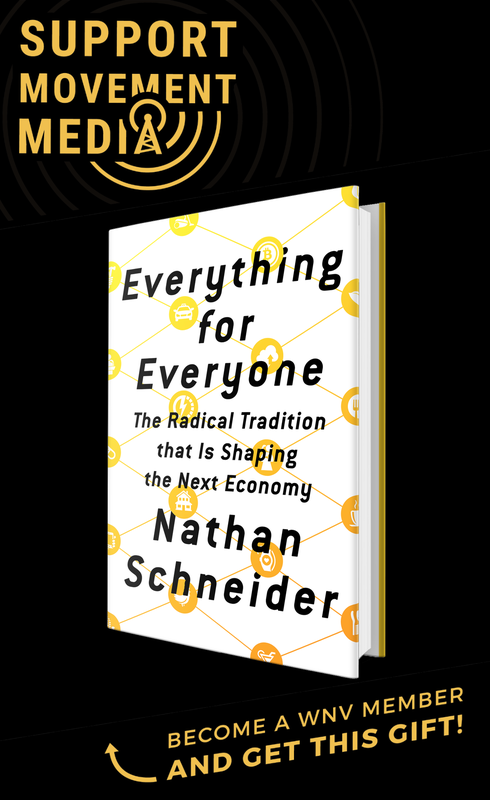 How can activists confront the specter of corporate and police spying without falling prey to the kind of security culture, fear and paranoia that have undermined political movements in the past? There’s no easy answer. On the one hand, some activists say that it comes with the territory, it’s nothing really new, and spending too much time focusing on security can be detrimental. It goes against the openness, transparency and democratic culture that many activist groups aspire to uphold. On the other hand, they also recognize that infiltrators and agents provocateur can cause real damage — as in the case of the Cleveland 5 and a tar sand resistance training camp in Oklahoma. So simply ignoring the threat altogether would be naïve, especially in an age of mass surveillance and sophisticated information gathering technology. In her book, Eveline Lubbers suggests that there are serious gaps in our understanding of what is generally referred to as “grey intelligence,” or the blurring of boundaries between public and private intelligence gathering. She calls for the creation of a multi-disciplinary field of research into the subject, as well as the continued exposure of corporate covert strategy. At the same time, she argues that corporations need to be held accountable if they violate the law. In Spooky Business, Gary Ruskin says that Congress should hold hearings on corporate espionage in order to better understand just how widespread this kind of activity is. “Congressional committees should subpoena documents and testimony from corporations, PR firms, private detective firms, law firms and contractors known or suspected of conducting espionage against nonprofits,” he writes. Of course, the hallmark of well-executed covert strategy is that it never comes to light. Since it’s unlikely that Congress will be going after corporate spooks anytime soon, it’s up to activists, whistleblowers and investigative reporters to do the heavy lifting. Above all, corporations would like activists and others to remain in the dark about the extent to which they are keeping tabs on their opponents and critics. At a minimum, the recent publication of books and reports on the subject suggest that there are cracks in the wall. Corporate spies aren’t the only ones watching. Correction: This article previously stated that the Special Demonstration Squad was also known as Special Branch. Special Branch refers to the Metropolitan Police Special Branch of which the SDS was one of many units. Interesting stuff – especially about those first two books. It’s inaccurate to say “the more colloquial phrase Special Branch is used to refer to the [SDS]”, as SDS was a unit within Metropolitan Police Special Branch. The SDS officers were also Special Branch officers, in the same way that they were also Met officers. The Met’s Special Branch (originally the Special Irish Branch) was until 2006 designated SO12; it was then that along with SO13 Anti-Terrrorism Branch it was turned into SO15 Counter Terrorism Command within the Met’s Specialist Operations directorate. Most if not all of the 42 other territorial police forces across the UK also have their own Special Branches, but the Met’s is primus inter pares: SO15 leads through the National Counter Terrorism Network. You claim Mark Kennedy was one of the SDS’s “most successful spies”. He wasn’t. Kennedy worked for the National Public Order Intelligence Unit (NPOIU). This was a nationwide unit first established from within the Met, subsequently managed by the Association of Chief Police Officers (ACPO) alongside the National Domestic Extremist Team (NDET), the National Extremism Tactical Coordination Unit (NETCU) and the National Coordinator Domestic Extremism (NCDE). These were then turned into the National Domestic Extremist Unit (NDEU), subsequently renamed National Domestic Extremism & Disorder Intelligence Unit (NDEDIU). The Met’s SDS operated mostly in London or within London-based groups, under a number of different names, between 1968 and 2008. NPOIU operated nationwide – and internationally – from 1998/9 until 2010/1, when it was folded into NDEU. Thanks for your insightful comment, BristleKRS. We have made a correction in regards to the connection between Special Demonstration Squad and Special Branch. Thank you for an excellent piece. Much more attention needs to be focused on this subject. 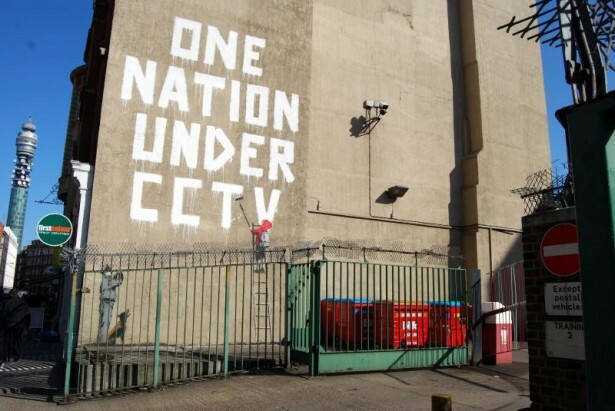 Secret police, excessive surveillance, private spies…all hallmarks of a Fascist State. As David Rockefeller stated publicly in 1991, “Surely it is preferable for the world to be run by supranational [unelected] elites than by the nations of the past and their corrupt politicians.”…he was talking about mega corporatists. It’s not a “conspiracy” at all, just “good business” to them. Both FDR and Mussolini defined Fascism as: the power of the State married to the power of Big Business. That’s precisely what we have in most developed countries today, especially the USA and the UK.